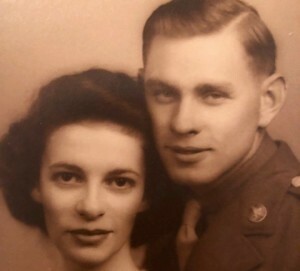 Obituary for Virginia C Stewart | Schlup-Pucak Funeral Home Inc.
Virginia C. Stewart 97, recently of New Orleans, LA and formally of Akron, Ohio went home to reunite with the love of her life, James S Stewart (Stew). She was born to Thelma and Russell E. Stetler in 1920 and was raised in Firestone Park, graduated from Garfield High. She worked in the payroll department of Goodyear until her retirement to Phoenix, Arizona in 1975. On return to Akron she rejoined her communities in Firestone Park and Firestone Park Presbyterian Church. She and Stew shared their love of nature in their care for their gardens and birds and sunsets. They enjoyed their travels to Europe and South America and other destinations throughout the world. She led a joyful life. 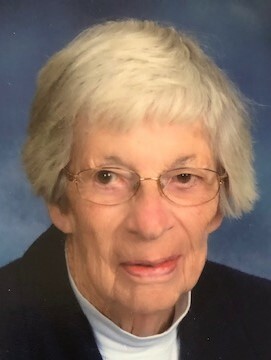 Ginny was predeceased by her husband, Stew; her sister, Dorothy Stetler; her brother, Russell K Stetler; her nephew, Randall T Stetler and her great nephew, Christopher M Gagnon; sister-in-law, Harriet Stetler; sister-in-law, Evelyn R. Woodrum; brother-in-law, Frank Woodrum. Left to cherish her memory is Clifford W. Stetler (Karen), Kimily S Gagnon (Gilles), Daniel E Stetler (Debbie), James C Woodrum (Phyllis), Frank O.Woodrum, Linda S DeCastro (William) and many great nieces and nephews. A memorial service will be held 11:30 a.m. Wednesday, November 14, 2018 at Firestone Park Presbyterian Church, 275 S. Firestone Blvd, Akron, Ohio 44301 with Rev. Frances Fischer officiating. Interment will be private at the Ohio Western Reserve National Cemetery. For those that wish, memorial contributions can be made to the church.